Set forth below I've included lengthy excerpts from three different articles in Forbes. I've edited out some of the most wonky material and tried to provide some clarity where necessary, but I've included most of what was covered in the three articles. The articles grew out of an interview between Michael Cannon of the CATO Institute and Dr. John C. Goodman of the Goodman Institute and Independent Institute. Dr. Goodman is my favorite healthcare economist and author and Cannon is another one of the best voices in healthcare and constitutional matters. 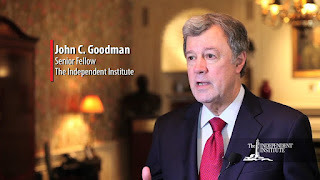 Having Cannon interview Goodman on the problems with Obamacare, Medicare and Medicaid along with Dr. Goodman's proposed solutions provides a phenomenal blueprint for how to vastly improve the healthcare challenges in America. 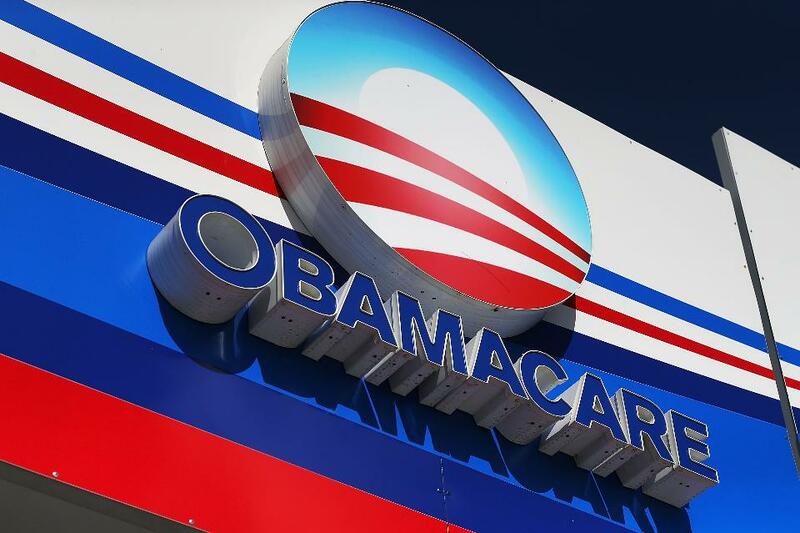 Far too much of the news on healthcare has been overwhelmingly bad over the past six years as we've been mired in the morass of PPACA and its more than 40,000 pages of laws, rules, regulations and case law. This trilogy offers a thorough, well-reasoned approach to simple, free-market improvements in U.S. healthcare. John C. Goodman, Ph.D., is the dean of conservative health policy wonks.... He founded and for decades was president and chief executive officer of the National Center for Policy Analysis, based in Dallas, Texas. The Wall Street Journal and other media outlets have called him “the father of health savings accounts.” He is currently president of the Goodman Institute for Public Policy Research and a senior fellow at the Independent Institute. Last year, [Michael Cannon of the CATO Institute] sat down with Goodman in the Cato Institute’s Hayek Auditorium to discuss his latest book on health reform: A Better Choice: Healthcare Solutions for America (Independent Institute, 2015). Video of the event is available here. This is part one of a (lightly edited) transcript of our conversation. Click here for parts two and three. JOHN C. GOODMAN: It has been five years since we passed the ObamaCare bill and in all that five years there’s not been a single Republican on Capitol Hill that has been willing to stand up and say we have a different vision of the health care system and here’s our vision and if we had our way this is how we would make costs lower, quality higher and access easier. Probably the closest to it is Sen. Bill Cassidy’s (R-LA) bill (S. 1531), but he only has eight co-sponsors of his bill. So that’s a pretty poor track record for people who are representing voters who are very angry about ObamaCare and would like a different vision. Let me go over why I think Republicans and conservatives don’t have an answer to ObamaCare, or one they can all agree on. First of all, they don’t understand what the problem is that needs to be solved. Even if we abolished ObamaCare, we would not have a free market for health care. We would have a health care system shaped and molded by government policy and the worst of those policies are ones that encourage us all to have group insurance, rather than individual insurance. Those policies are tax law policies. With group insurance, when we leave our employer, we lose our health insurance and that creates all the problems of pre-existing conditions. Then we’re encouraged to have third-party insurance rather than self-insurance through health savings accounts. And then, because the tax subsidy is open ended, we’re encouraged to over-insure. At the end of the day we have third-party payers paying almost all of the medical bills. When third-party payers pay almost all the medical bills, providers are not going to compete for our patronage based on price and quality and access. Instead they’re going to maximize against the payment formulas. Now what does it mean to have a free-enterprise reform? What it means is undo all those perverse incentives.... If you’re not willing to take on the tax system and change those perverse incentives, I don’t think you’re really serious about health reform. The second problem we have on our side of the spectrum is this obsessiveness about repealing ObamaCare. For me the goal is not to repeal ObamaCare. The goal is to move from where we are now to a health care system in which the role of government is minimized, in which all the perverse incentives government creates go away, in which individual choice of markets can begin to solve problems. The third problem we have on our side of the aisle is a failure to recognize that ObamaCare has been in one sense a gift to Republicans[,] conservatives and libertarians. Think of ObamaCare as having two parts. There’s a spending/regulatory part and all that should be repealed. That should all go away. That’s fine. But the other part of ObamaCare is the revenue part. Two thirds or more of the ObamaCare revenue comes from special interests who agreed to pay higher taxes, accept lower benefits and other cuts because they wanted to promote ObamaCare. Over the next 10 years, let’s call it $2 trillion. So what we need to understand is there’s a lot of money on the table, put there by special interests which, if you like, sold you all out for their own special interest purposes. They’re not asking for their money back and all this money sitting on the table. What’s a conservative, libertarian thing to do with $2 trillion? I would say it is to have a tax cut. It’s got to be a tax cut tied to health care. I would like to see it be like the child credit, where everybody gets $1,000 per child. We all should get a certain number of dollars for health care health insurance. Then government should stand out of the way and we let markets work. Now, in A Better Choice: Healthcare Solutions for America, I’m focusing on major problems with ObamaCare that are so severe that they can’t be solved in the White House or by executive order. They’re going to require Congress to act. Let me just mention three of them quickly. These are problems that aren’t going away. Number one, you are mandated to buy insurance whose cost is going to grow faster than your income. The quick solution is we need to go from a defined benefit system, where we tell you what you have to buy, to a defined contribution, where government can pay part of the cost of health insurance, but then the market what it can provide for the money you have to spend. The second problem is a bizarre system of subsidies. In most places, a family at 138 percent of poverty is able to go into Medicaid. For a family of four, the cost of that is about $8,000. They pay nothing. Let’s call that an $8,000 gift. If this same family earns one dollar more they’re no longer eligible for Medicaid, have to go into the Exchange where they will get heavily subsidized insurance. Let’s say the insurance they get is $12,000 they have to pay about $900 out of their own pockets. Let’s call that an $11,000 gift. But consider the employees of the hotel down the street making $15-$20 an hour—the maids, the busboys, the waiters, the waitresses, the car parkers, the baggage handlers, the custodians, the gardener—all those folks you normally see in a hotel. ObamaCare is trying to force those workers to buy insurance through their employer that’s a third to a half of their annual income. And if they don’t do it they get a $2,000 fine. So we have an $8,000 gift, we have an $11,000 gift and we have a $2,000 fine. Now that obviously isn’t even. When employers think about this most of them are finding loopholes. But if the loopholes get stopped or plugged, then we’re going to have a serious economic effect on the part of the economy that employees below average income workers. The third problem I want to point out to you that’s not going away is the perverse incentives of the health insurers in the Exchanges. You don’t have to even be in the insurance industry to know that if everybody pays a community-rated premium, regardless of health care costs, then you’re going to make money off of healthy people and you’re going to lose money on sick people. We have all these complicated risk-adjustment mechanisms, that I’m not sure anybody understands, but it’s clear that the insurance companies have concluded that they want the healthy and they don’t want the sick. So what are they doing? They’re offering products that appeal to the healthy, don’t appeal to the sick. Then after you enroll, the perverse incentives are to over-provide to the healthy and under-provide to the sick. And what are these strategies? They have decided that they can push down the fees that they pay to providers. In Dallas, Texas Blue Cross, in its Exchange plan, is paying 10 percent less than what Medicaid pays.... They take all the doctors who accept that fee—and that typically doesn’t include the best doctors, by the way—and that’s how they get their premiums down. They’re convinced that healthy people buy on price. The only thing a healthy person is going to do is look at the premium. The only people who look at networks are people who are sick. So, if I’m an insurer and you’re asking about my network, I know automatically I probably don’t want you in my pool. So we’re getting a race to the bottom. We have insurers with terribly perverse incentives and that is not going to change until we change the way Exchanges operate. So those are my three problems. 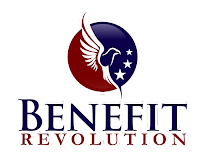 For the cost control, we need to go to defined contribution. Let government give us each a certain number of dollars—that’s our subsidy—and let the market decide what it can provide for that. For the problem of the diverse subsidies we need a tax credit that is the same for everyone no matter where you get your insurance—at work, in the marketplace, or in the Exchange. MICHAEL F. CANNON: ... I’ve got a lot of things I want to ask you about the book and your views on health policy more broadly. I enjoyed the book. It makes a lot of very important points. I think your discussion of third-party payment in the book, the problems of third-party payments is one of the best I’ve read. I expect no less. Let’s start with questions about ObamaCare itself and the problems with ObamaCare. You already mentioned one of the things that I want to ask you about, which is how ObamaCare threatens access to care and quality of care for the sick by creating these perverse incentives that you’re discussing. How does a person with a high-cost illness experience that? If I’ve got diabetes, if I get cystic fibrosis, if I’ve got MS, what does it look like for me in ObamaCare Exchanges? How am I going to experience that dynamic you discussed? JOHN C. GOODMAN: What people are finding out all over the country is that the narrow networks really are narrow and that they leave out the best doctors and the best hospitals. If you have diabetes, the number of doctors that are skilled at treating the problem are few. You may have to travel 50 miles down the road to find one. A woman in New York who had a broken ankle had to go to Connecticut to find a doctor who would treat her because of a plan that she bought in the ObamaCare Exchange. It really is a race to the bottom and the narrow network is one clue. Another clue is the very high out of pocket payments required of people who need specialty drugs. Specialty drugs are primarily cancer drugs. They’re very expensive. What the plans are doing is saying, that, if you need one of these expensive cancer drugs you have to pay a huge portion of the cost until you hit your out of pocket limit, which is a little over $6,000. So if you have AIDS or if you have cancer and you go into the Exchange, you’re probably in a plan that’s going to require you to pay $6,000 for lifesaving drugs that you need. That’s the race the bottom. Now, what would be the alternative to that? The alternative to that is that when people move from plan to plan, they don’t move at a community-rated price. If you go silver plan to silver plan, the price that the enrollee pays will be the same as what all other enrollees are paying. But the plan you leave would make an additional payment to the plan that receives you. So the total premium the plan that receives you gets, would be actuarially fair. I’m willing to start with that, but then I want to evolve into free-market risk adjustment. With that you could have an insurance market that really works because plans get a premium that reflects the full actuarial value of the people they enroll. CANNON: But in Medicare Advantage, that all depends on Medicare getting the prices exactly right. If Medicare’s prices—the amount that they pay to the private plan that cover Medicare Advantage enrollees—are a little too high or a little too low, then you are creating these perverse incentives again, where they have an incentive to deny care to the sick or to buy gym memberships to attract the healthy, where they’re making their money. Or the maybe-apocryphal story of having the sign-up for a Medicare Advantage plan on the fourth floor of a building with no elevators, so you keep all the disabled people out of your health plan that way. GOODMAN: Medicare doesn’t have to get it exactly right. It’s a very imperfect system, but it uses seventy variables and it’s not easy to game. It’s a starting point and with that starting point, the private sector would be free to improve. So if I’m running a health plan, it doesn’t matter that Medicare isn’t getting it exactly right. As long as I can better predict the cost of the healthy and the sick, I can’t game the system. CANNON: You also mention in the book you discuss something that I think is very important for understanding ObamaCare, which is the Oregon Health Insurance Experiment. Can you tell us a little bit about that? What does it mean for ObamaCare’s Medicaid expansion and ObamaCare more broadly? And also, please comment on one of the lead investigator’s subsequent work, Amy Finkelstein of MIT, her subsequent work about the value of Medicaid for enrollees. GOODMAN: What happened in Oregon is something that never happened before. We have lots and lots of studies about what a difference Medicaid makes and some found that, you know, people are actually worse off in Medicaid than if they are uninsured. But there were always questions and criticisms of the studies. What happened in Oregon is that they took people who applied to be part of the Medicaid expansion and they assigned them by lottery. Some were admitted to Medicaid and some were not. They were otherwise very similar. So we were able to do the first controlled experiment to see what difference Medicaid really made and the bottom line conclusion was it had no real effect on health, certainly not physical health. That was shocking to lots of people. Some people say, you didn’t have enough experience and as time goes on we will see an effect. But it looks like the results will hold up. Being on Medicaid just does not seem to affect people’s health. Amy Finkelstein, one of the authors of this of the study, did a subsequent study where she used some complicated mathematics and even tried to estimate what value the recipients placed on Medicaid. For a poor person who is enrolled in Medicaid, it’s free to that person. But if they had to pay to enroll, how much would they pay. That is, what is it really worth to them? She found its worth between 20 and 40 cents on the dollar. So we taxpayers are spending a dollar and the value to the recipient can be as low as 20 cents. That’s not, that’s not a good exchange. CANNON: In the book you mention the cuts that ObamaCare made to Medicare. You refer to those cuts as draconian, but you just mentioned that AARP, hospitals, and others who had their Medicare payments cut are not asking for that back. Are ObamaCare’s cuts to Medicare draconian? Or are they not a big deal, as evidenced by the fact that these folks don’t want their money back? Well, we say “their” money, but what we mean is, they don’t want to eliminate those cuts to the subsidies they are receiving through Medicare. GOODMAN: Let me describe how big they are. Some of you may remember, before ObamaCare we used to get these scary, scary forecasts about how much unfunded liability there was in Medicare and these numbers come out of the trustees report. When Obama signed the Affordable Care Act we wiped out $52 trillion of unfunded liability in Medicare. So if you make Medicare grow forever at the rate of growth economy, while health care costs are growing at twice that rate, the amount the government saves is huge. Now why haven’t we seen a lot of pain and agony out there so far? Because the Obama administration has managed to circumvent some of these cuts. Medicare Advantage, for example, was supposed to endure some substantial cuts, but they went around that and they found ways of grading plans and giving them extra quality bonuses. So we really haven’t seen big cuts to the Medicare Advantage program and the big cuts on the hospital sector are a few years away. The pain is on down the road we haven’t really experienced very much so far. But we’re going to experience a lot of it if the government holds to flat-line spending for Medicare, while the rest of the health care system is growing at a much faster rate. CANNON: A couple questions about health care generally. You’ve always been confident that cost conscious consumers can force prices down. Walk us through, if you could, the example what WellPoint did in California with knee and hip replacements and the effect on prices. GOODMAN: What happened was incredible. WellPoint, which is called Anthem in most places, has the health insurance for CALPERS, which is the health plan for all the employees and employees’ families and retirees of the state of California. We’re talking about, a huge pool of people. WellPoint got the state of California to agree to this experiment. For hip and knee replacements, they looked at all the hospitals throughout the state and they were able to identify about 46 hospitals where hip and knee replacements routinely were $30,000 or less. Everybody else was more. So what the state of California and WellPoint said to all of the employees is that you can go to any hospital you want, but all we’re going to pay is $30,000. By the way here’s 46 hospitals. If you go to these, you don’t have to pay anything more than your normal out of pocket payments. But if you go outside the network and it’s more than $30,000, you’re going to have to pay the difference. After about a year of this the out of network hospitals—the ones that were above $30,000 dropped their charges by over a third. Within two years the out of network hospitals were charging less than $30,000. Here’s what is amazing about this is. All of you have heard that to successfully negotiate with hospitals you have to be big. You have to be the government or a big insurance company or a big employer. The individual patient has no bargaining power. What happened here is the prices came down and WellPoint didn’t do anything. They didn’t get on the phone. They didn’t write a letter. They didn’t negotiate with anybody. They just sent patients out to tell their doctors, “All I have to spend is $30,000.” And that’s all it took. Suddenly the market responded in a way that, I think, surprised everybody. CANNON: And the price reductions were substantial, they’re on the order of $10,000 per patient. MICHAEL F. CANNON: Let’s move on to your proposals now. One of the principles that you lay out of your book is universal coverage. My question is, if we say that it’s the government’s role to provide universal health insurance or universal access to medical care, won’t the government’s role in health care continually increase? Won’t advocates of more government spending on health care always win because they can say, well, we’re going to make health care more universal by spending more? JOHN C. GOODMAN: Well, let me just back up to a more fundamental point. I think that health care is not like other goods and services. If someone doesn’t have a house, we don’t feel like we have to provide them with a house. If someone doesn’t have food, we don’t think we have to provide him with a steak dinner. Health care is different in this country. We just are not going to let hospitals throw people out on the street because they can’t pay their bill. So health care is different. We’re all going to be involved in paying for the care of people who can’t pay for their own. So if that is where we start, then what I would advocate is to make the role of government as small as we can possibly make it. So let’s, pick a number, I would say $2,500 for an adult and, $8,000 for a family of four. That’s what it costs on average, according to the Congressional Budget Office, to put new people into Medicaid. CANNON: About the credit, there’s more than one way to use a tax credit for health insurance to increase the government’s role. You and I have debated this, and so I want to pursue it a little. My question is, isn’t a health-insurance tax credit a lot like the individual mandate? Under a health-insurance tax credit, as you mentioned the book, if you don’t buy what the government considers acceptable health insurance, you pay more in taxes; your tax liability is higher. But if you do buy the type of health insurance the government considers acceptable, you pay less money to the government—$2,500 or so. GOODMAN: Think about how the health care system is right now. If you, through your employer, have health insurance you pay lower taxes. So, all of you have an incentive to take advantage of that opportunity. Now if you don’t do it, you don’t get insurance, you’re going to pay higher taxes. So we already have a mechanism in which 150 million people at work are paying lower taxes because they took advantage of that provision in the tax law. And there are other people at work and not at work who are paying higher taxes because they didn’t take advantage of that opportunity. If you want to call my tax credit a financial mandate, I’m fine with that. The flip side of a subsidy is always a penalty. If you don’t take advantage of the subsidy, then you will pay a penalty. And let me just say something about where I think that penalty should go. I think we should offer everybody a universal health-insurance tax credit: $2,500 per adult and $8,000 for a family of four. There will be people who turn it down. There are millions of people turning the ObamaCare subsidies down. Of course, what ObamaCare has done is tell them what they have to buy, and what they have to buy is not attractive. I’m not going to tell them what to buy. I’m just going to say: as long as it’s a credible insurance, you get your subsidy. So what do we do about those people who turn us down? If people turn us down, where does the money go? Well, under ObamaCare and under most Republican proposals, if someone doesn’t claim a tax opportunity, the money stays in the Treasury. Instead, I’m saying that some portion of that money should go to local safety-net institutions. So money would follow people. If everybody in Dallas County decides to get health insurance, which is what we hope they would do, then the subsidy dollars go for private health insurance. But if everybody in Dallas decides to be uninsured, then some portion of those unclaimed credits would go to safety-net institutions. And that’s what I mean by universal coverage. No matter how you decide, you’re not going to be out on the sidewalk if you can’t pay your medical bill. It minimizes the role of government, ensures that there’s something there that encourages you to be private. But if you decide not to, there’s something like a backstop if you can’t pay for your own medical care. CANNON: About the spending, that seems like a very clean way for the federal government to allocate spending between safety-net hospitals and people who purchase their own health insurance. If you take the credit, you get the money. If you don’t, the safety-net hospital gets the money. But if half the people in Dallas took the credit in the first year, and then in the second year everyone bought health insurance and took the credit, would the safety-net hospitals just give up that money? Would it work that neatly? Or would hospitals lobby to preserve the subsidies they had been receiving? If so, the government’s influence over the health sector, the subsidies that it’s providing, would go up by 50 percent. GOODMAN: It’s always a possibility that people are going to lobby in their own self-interest. But what I’m talking about is reforming a system under which there’s no clear reason why hospitals get money. Right now it’s all political. It’s all influenced by lobbying. Let’s turn it into something that is more rigid than that. And the rigid form that I’m suggesting again is that money follows people. CANNON: One of the things that people could do with the tax credit under your proposal is they could buy Medicaid coverage. You could buy into Medicaid regardless of their income. They could take that tax credit and say, I want that applied to Medicaid coverage for me and my family. Just as they could say, I want the tax credit applied to private insurance. Does that make Medicaid a public option under your plan? GOODMAN: You know, I was willing to make this concession to the Left. I just mentioned I’m helping Pete Sessions with a health bill; that’s not in his bill. He allows people to leave Medicaid, he doesn’t allow the rest of us to join if we want to. But if it takes this to get the Democrats to sign on, I don’t see what we have to fear. Their plan is Medicaid and that’s their safety-net plan. If a private insurer can’t compete against Medicaid, there’s something wrong with that private insurer. So yes, I would let even Bill Gates join Medicaid, but if he has to pay the full price. We’re not going to let him go in at a reduced rate. But if he wants to wait in line for his care, if he wants to be in a plan, knowing that a third of the doctors in Seattle don’t take Medicaid, why not? But most people are going to want better than that. CANNON: You and I were talking out in the hall about the paper that Cato published by John Cochrane titled, “Health-Status Insurance: How Markets Can Provide Health Security,” and how that is the most important paper Cato has published on health policy—at least since I’ve been here, I’ve been here for 12 years—because of the insights he has about how markets would innovate to make health insurance more secure. I could talk about why that is. But his argument is that this innovation would emerge spontaneously. Health insurance would become more secure, particularly for the sick, because such innovations will emerge spontaneously if government just gets out of the way. In your book, you talk about how the government should require or direct that process. Why the difference? GOODMAN: Because we have to start where we are now. And where we are now is not just government getting out of the way. And we’re not going to ever do that. Government is not going to say, “OK all bets are off. You sick people are out there on your own. Let’s hope the market takes care of you.” You have to start where you are now and move to the better place. And John Cochrane and I discussed this. Here’s the key: you cannot allow one plan to dump its sick people on another plan. That is the bottom line principle that gets to the heart of everything that’s going wrong now and what has to be corrected. Under ObamaCare, the states were allowed to dump their sick people into the Exchange. The city of Detroit was able to dump its more costly, older workers into the Michigan Exchange. You just can’t allow a plan to do that. And remember, earlier I said that the plans were trying to avoid the sick. Once they are enrolled, the plans have incentives to try to chase them away. You just cannot allow that to happen. So how do we stop that from happening? Again, you have to have a mechanism so that if somebody leaves my plan and they go to Michael’s plan—and this person could be a very sick person—and that person moves from a silver to silver plan, he pays the same silver premium as everyone else in Michael’s plan pays. But then I have to top it up, and so that what Michael gets is an actuarially fair premium. I now have an incentive to take more care of that patient, than under ObamaCare.